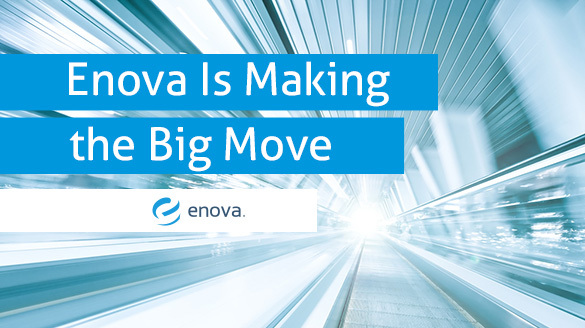 Enova Secures New Headquarters - Enova International, Inc.
It’s official! We’ve secured our new headquarters in the 23-story office tower at 175 W. Jackson Blvd. The 12-year lease, is for 154,866 square feet, just steps away from our current offices at 200 W. Jackson. Over 850 of our 1,100 Chicago-area employees will work in the upgraded space. Enova International’s awesome new headquarters will feature a larger more open floor space, which is ideal for a progressive and collaborative work environment that we are very excited about utilizing! The owners of the 102-year-old building have agreed to give us Enovans a 7,500-square-foot health club on the 22nd floor. Each floor is about 68,000 square-feet, which leaves plenty of room for us to add new Enova employees!